There’s a new way to buy a car and it’s here at our our new and used car dealership in Toronto. You won’t find the old dealership stereotypes here at Woodbine Nissan–that’s not part of the way of doing business here. Instead, our open, friendly, knowledgeable, and experienced team members work with you to solve your transportation problem. It’s why Woodbine Nissan is quickly becoming the destination location for Nissan cars, trucks, and SUVs, and why loyal customers from across the Greater Toronto Area (GTA) are returning for service, parts, tires, accessories, and auto repairs. The Woodbine Nissan management and team believe in the customer for life concept. To keep customers for life requires a level of service that goes well beyond simple customer satisfaction. It also requires that the physical location be set up to be a one-stop operation. 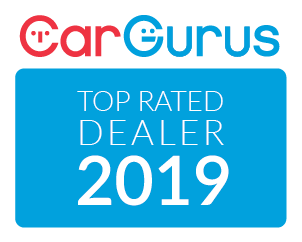 Our new and used car dealership in Toronto has done that thanks to a large property to accommodate a huge inventory of new and used vehicles, including luxury brands such as Infiniti, BMW, Mercedes, and Audi. With all these services available under one roof, it’s no surprise that Woodbine Nissan is becoming the automotive destination for so many people from the Mississauga, Etobicoke, Brampton, North York, and Toronto, ON areas. Come discover the new way to buy or service your car!